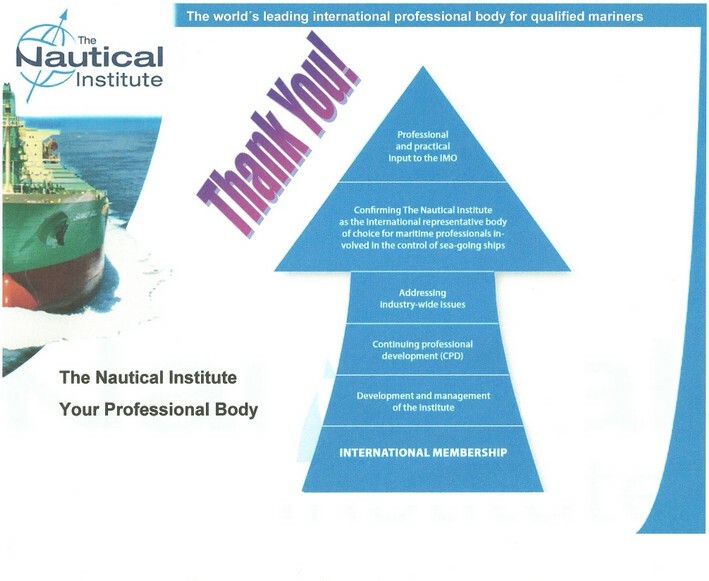 As one of your Branch members – thank you Arthur Bowring – wrote in the ALERT bulletin some 6½ years ago (January 2006) – “It is now quite clear, despite the obstinacy from those that should know better, that fatigue is a major issue with many of those who work at the front line in our industry - our seafarers. 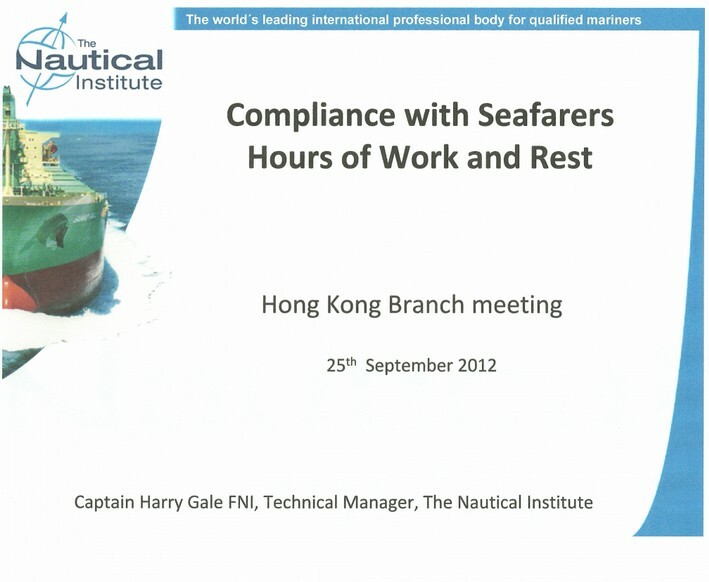 As fatigue is primarily caused by tiredness through overwork or stress, the natural answer to the problem is to amend or replace the present regulations so that there will always be a sufficient number of competent people on board every ship.” He also wrote an article in Seaways in March that year on Minimum Manning Levels – why they aren’t working. In the last President’s Questionnaire one of the areas of greatest concern to the membership was manning levels. 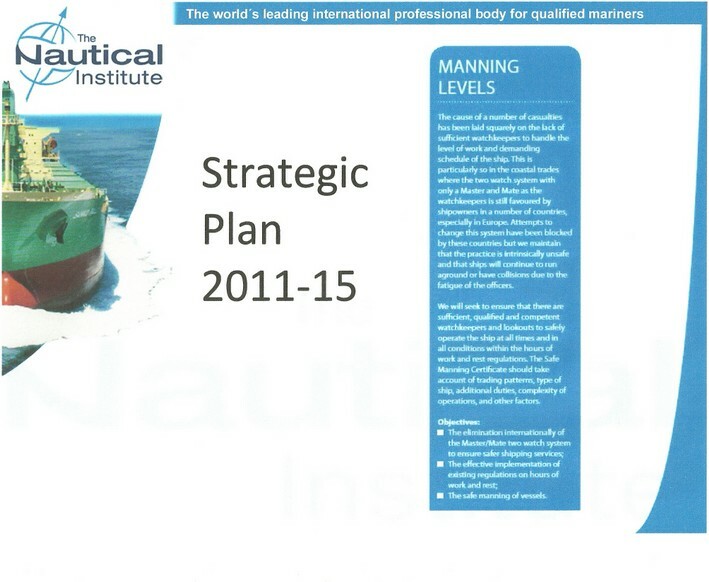 The NI strategic plan 2011-15 identified the objective of the elimination internationally of the Master/Mate two watch system. We maintain that the practice is intrinsically unsafe and that ships will continue to run aground or have collisions due to the fatigue of the officers. The NI will seek to ensure that there ar sufficient, qualified and competent watchkeepers and lookouts to safely operate the ship at all times and in all conditions within the hours of work and rest regulations. Our main concern on the Master/Mate two watch system focuses on the ability of the Master to respond to any situation outside of his watch and the need for a second watchkeeper to support other watchkeepers. We will be submitting a paper to IMO next year on this issue and would seek input from branches on any instances of accidents or near-misses which can be attributed to this practice. A third of all the groundings involved a fatigued officer alone on the bridge at night. 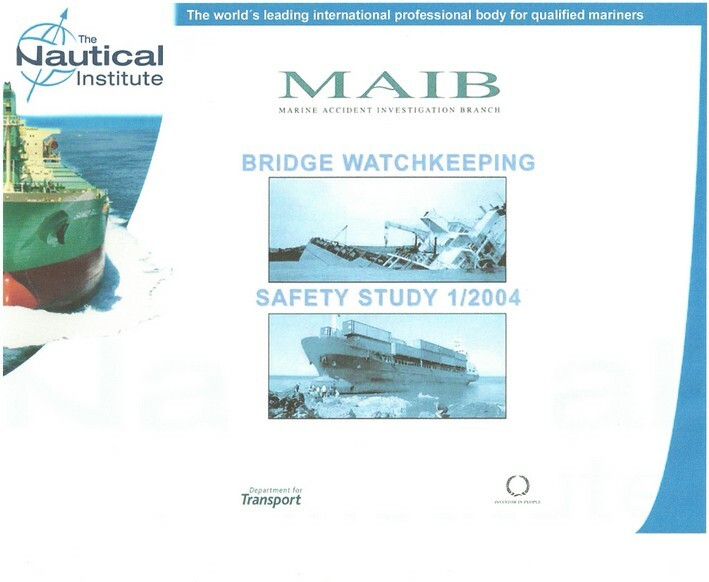 Fatigue was considered to be a contributory factor in 82% of the groundings in the study, which occurred between 0000 and 0600 and in 90% of these the vessels carried only two bridge watchkeeping officers. This data highlights the link between small dry cargo ships operating in the short sea trade, manned with just two deck officers, and groundings caused by fatigue. Ships which grounded as a result of a sole watchkeeper falling asleep at night through fatigue, were manned in accordance with their safe manning certificates and all had just two watchkeepers, a master and a mate. This, together with the fact that a significant number of vessels manned to the same level, were involved in collisions when the watchkeeper was alone on the bridge in conditions which merited additional manning, raises serious doubt on the justifications for operating vessels with just two bridge watchkeeping officers. 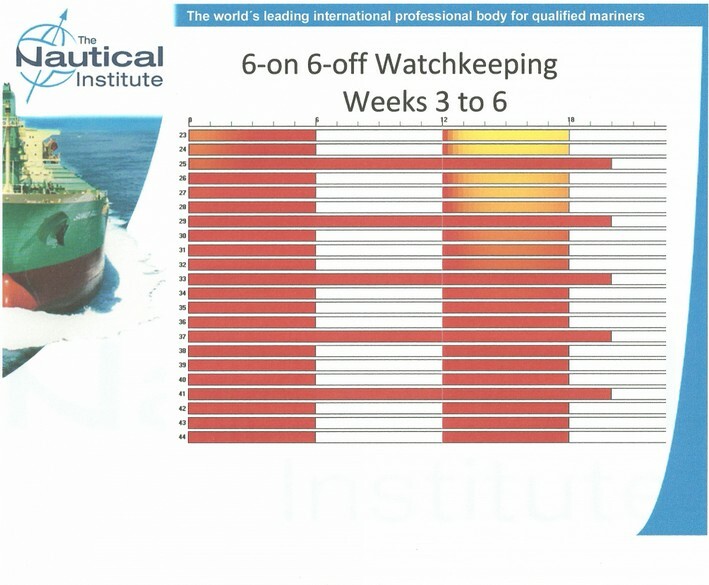 The increased propensity for watchkeeper fatigue, on ships within the short-sea trade which are operating with just two bridge watchkeepers, is a key indicator of the inadequacy of such manning. Other transport modes, especially aviation, have excellent predictive tools. 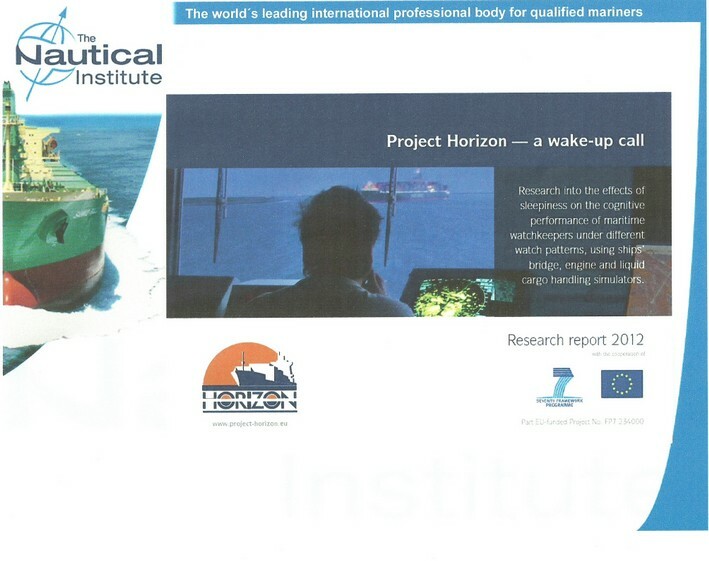 The MAIB Study used one with a marine work profile – with astonishing results. 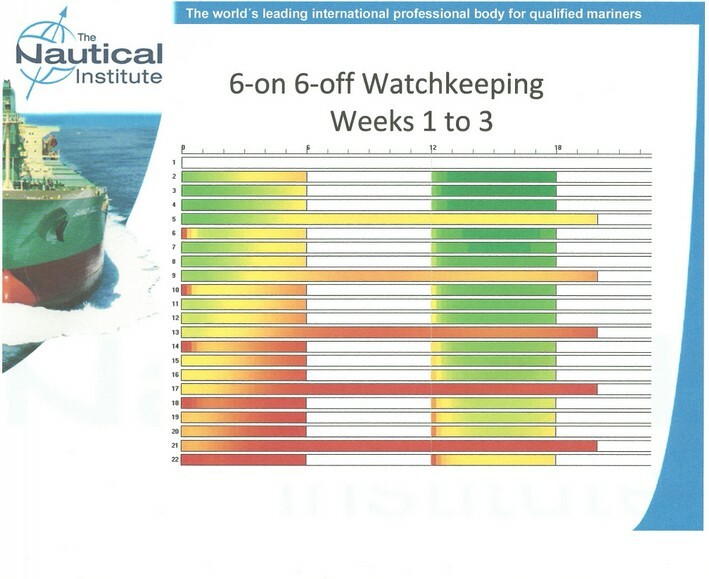 This slide shows that cumulative fatigue that develops over a three week period for the chief mate working 6on 6 off on a ship that is in port every 4 days. Fairly artificial scenario – many ships that operate around our coasts are in port more often and the ability of this officer to get his rest is even less. However, even under these conditions, fatigue accumulates overtime such that by day 22 its impact is critical. Even if we accept that working in excess of 90 hours a week is safe, this cannot be achieved unless the vessel is manned sufficiently for the operation it is conducting. Just looking at bridge watchkeeping officers, in addition to manning the bridge – when STCW requires then not to be distracted from their watchkeeping duties – they have cargo checks, maintenance and safety routines, administrative duties, supervising hazardous operations, ever increasing paperwork, pilotage, berthing duties, loading and unloading, harbour inspections and the list goes on. And that’s before we consider security. Another, but equally important aspect, is the ability of a master to undertake the functions required of the command when involved in such a demanding and disrupted watchkeeping pattern. In fact, where the master is employed as one of two watchkeeping officers, he has little choice in this respect. When at sea, working a watch on – watch off routine on the bridge, a master cannot fulfil his obligations without disruptions to his own patterns of rest, which are already disrupted by voyage cycle times. As ships operating with just two bridge watchkeepers including the master, working in opposite watches, are likely to have fatigued OOWs, and the masters of these vessels are frequently unable to discharge all of the duties required of them, the need for more than two watchkeepers is obvious. Most conscientious owners and managers are now increasing the numbers in their crews, as they recognise that the trend to minimum manning has gone too far. 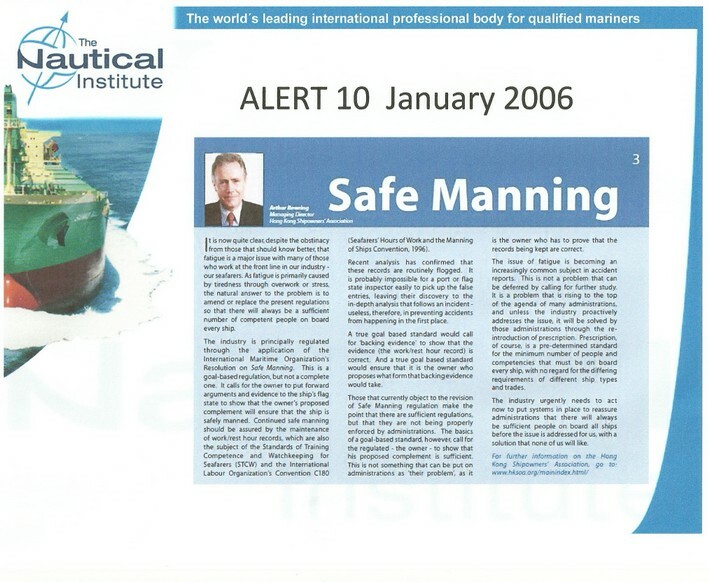 However, there are still some people in our industry who consider the minimum safe manning certificate to be their crewing level, regardless of the trade their ship is involved in – and, even worse, they often barter between flags to see who will allow them the lowest numbers. Since then there have been other incidents involving groundings of vessels where the principal cause was the sole watchkeeper falling asleep as a result of fatigue. 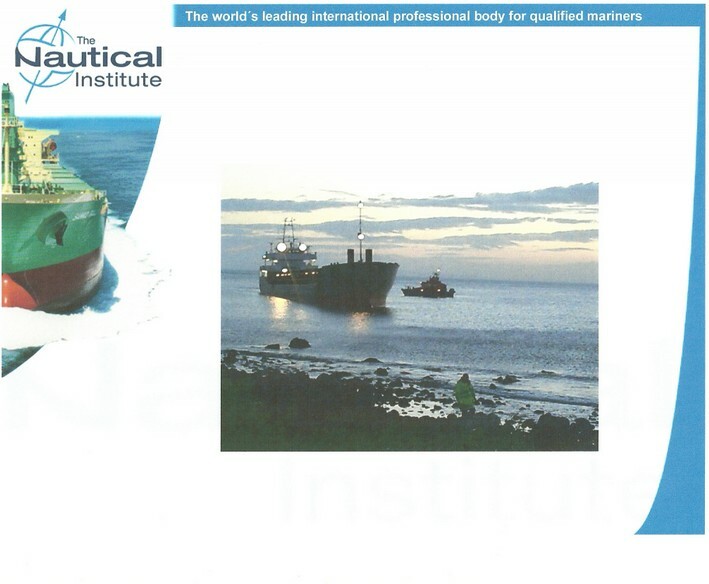 Here is the case of the Antari where the officer of the watch had fallen asleep shortly after taking over the watch at midnight when the vessel was passing thepeninsula ofKintyre (Scotland). With no-one awake on the bridge, the vessel continued on for over 3 hours, crossing the North Channel of the Irish Sea before grounding on a gently sloping beach about 7 miles north of Larne. The chief officer, who was the watchkeeper at the time of the grounding, worked a 6 hours on/6 hours off watchkeeping regime with the master. Surprisingly, we have been lucky so far. These groundings have all occurred without any apparent pollution. Just think if this vessel had proceeded down theIrish Sea and collided with one of the oil rig platforms. September 2007, The general cargo ship Fingal was carrying a cargo of timber, when she grounded onSanda Island, south of the Mull of Kintyre, whilst on passage from Campbeltown toLondonderry. There were calm conditions and good visibility. The master had been on watch alone and had fallen asleep after making a course alteration, some 20 minutes before the grounding. This vessel run aground again in Dec 2009 on theisland ofJura. 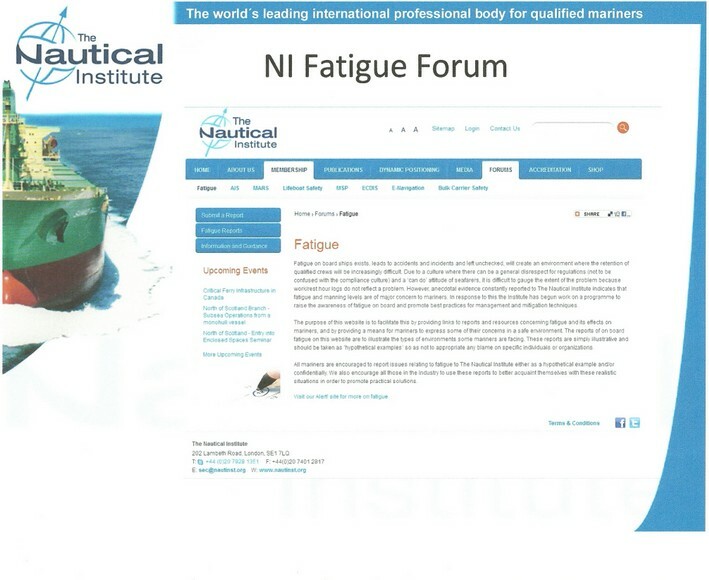 NI Fatigue Forum – fatigue reports including some from Baltic, where, in addition to 6on6off, the Master is frequently called on to do the pilotage where he has an exemption certificate. Also in some ports e.g. Hamburg, the feeder vessel has to shift from one berth to another every few hours.